Quality, not quantity? 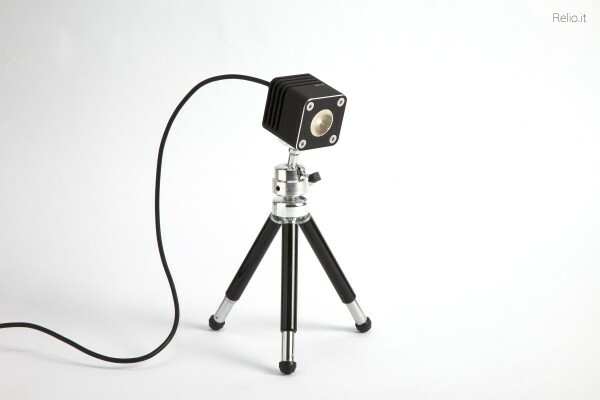 The Relio is a micro-USB powered LED lamp offering "Sun-like" colour rendering. Sometimes it is quality and not quantity of light that matters. That seems to be the idea with the Relio, a micro-USB-powered LED lamp offering “Sun-like” colour rendering. The Relio claims to be the first USB LED light to offer an “ultra high” colour rendering index (CRI) of 92. That means it is more likely to render objects more faithfully as what they should look like under ideal conditions. Many cheap LEDs have CRI of around 80 or less, while sodium vapour lamps can have negative CRI. Read up more on the topic here. If a small package (78 grams) and good colour reproduction in photographs and video is important to you, then the Relio might be an attractive proposition. Otherwise, it hasn’t got much else going for it: there is no dimmer, it needs an external power source and there are no light-shaping accessories, other than a clear mask to let you attach colour gels. It does however have a standard 1/4-inch socket, allowing you to fix it on any tripod, a light stand or other mounting gear. Relio is made in Italy by self-described “wannabe entrepreneur” Marco Bozzola. For more information, or to order one yourself for €69, visit www.relio.it.